true genuine people Iowa reminds me of 20 years ago anywhere elce, people hear are so friendly. you cant go many places where everyone you pass on the road no matter if they know you or not waves. Does 2firefighters belong in this group? Does hotdangcpl belong in this group? 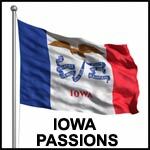 Does livinginiowa belong in this group?